The Book Shelf | Books, writing and author news from around the world. I visit the Pinterest social media site on a regular basis and often come across books of interest that were “pinned” by other members. One Pinterest discovery that caught my eye was T.E. Avery’s Murder by Plane (Amazon Digital Services, 2012), a captivating story of actor/aviator Reginald St. John’s belief that he’d killed his fiancee in a plane crash until evidence proves she was murdered. 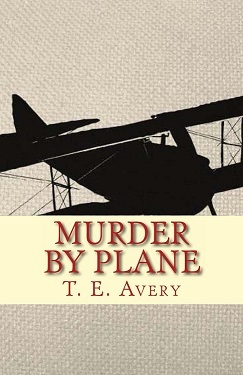 Murder by Plane is a detective novel with a classic “old movie” aura, its plot set in the 1930‘s. The book begins on a slow note, but soon picks up the pace once the death of Reginald’s fiancee is attributed to murder. There are few details omitted as Avery guides us through the unveiling of murder, why the fiancee was targeted, and possible suspects, with ambitions and rivalries of starlets in between. Sure, some areas could’ve used some additional editing, but the overall story will grab and hold readers’ interests until the murder suspect’s identity is revealed. Prepare to be surprised; if my first guess was far off the mark, yours will likely be as well. Murder by Plane combines the golden years of Hollywood with intriguing mystery, a great read one can finish in a night or two. Hopefully, no one will be affected by the idea of flying once they finish this fine novel. Karen Charlton will run a workshop for aspiring novelists June 12 at Stockton Library, County Durham from 6-9pm. Interested parties may book a spot by contacting Claire Pratt at 01642 528044. Follow Jeff Guernsey’s wife as she fights with cancer through her journal and writings. He added some comments to help readers follow what she is saying through her good and bad days. It is her hope that this book will help others not give up. Email jguerns@yahoo.com with questions or to order your copy of the book. Theresa Oliver’s short story is just .99 cents! Reviews are needed. She is making it into a screenplay for a television movie soon. Wode Susu-My Uncle: A Story of the Chinese Mafia is Tim Lilly’s first novel that was published on January 3, 2013. You can view the book’s video trailer at at this link. He has begun writing the prequel entitled Wode Susu-My Uncle:The Beginning. In the prequel you will learn many facets of the central character of the Chinese Mafia Boss Chan Wan San and his rise to power by taking over the Shanghai Mafia and morphing it into the Golden Dragon Society. Renee Roszel’s Valentine’s Knight has been chosen as a RITA finalist and nominated for a RT Readers Choice. Walter Daniel’s work Aestas, or Poems of Walter Daniel has had its 13th update of the year. Click here to check out what’s new. Author Event of the Week: Check out The Book Splash, an author signing event that’s like no other. Come sail away in February 2015 with For The Love of Books and your favorite authors on a 4-night Royal Caribbean Bahamas cruise! Book your spot now through May 1 to be part of an author panel, author signing, and more exclusive events for The Book Splash attendees only. Book before April 16 and be entered to win a free event fee. Visit Book Splash’s Facebook page to learn more and how to claim your spot! Thanks to all who participated in the April 5-6 free download weekend of all four books in The Cruiseweight Series and Billy Kidman: The Shooting Star. Worldwide downloads reached past the 200 mark! One day removed from WWE’s annual WrestleMania event, I thought it would be appropriate to profile R. D. Reynolds and Bryan Alvarez’s updated version of their best seller The Death of WCW. You can read my September 16, 2013 Book of the Week profile on the original book at this link. 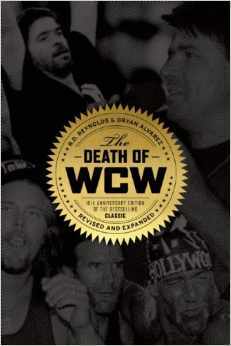 The Death of WCW: 10th Anniversary Edition of the Bestselling Classic — Revised and Expanded (ECW Press, Tenth Anniversary Edition, 2014) is scheduled for release October 14, 2014, complete with revisions and updated information not included in the first edition. The book is available for pre-order in paperback on Amazon.com. 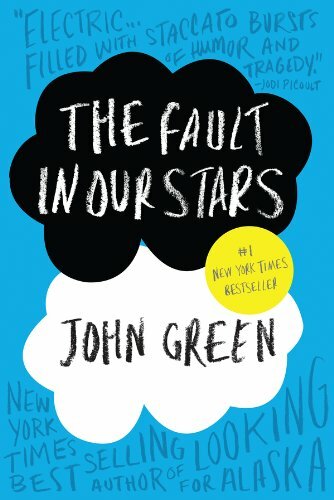 John Green’s The Fault in Our Stars (Dutton Children’s, 2012) is a New York Times best seller that tells an intense story with a blend of life, death, and love, bringing tears to readers’ eyes. Hazel is sixteen and battling terminal cancer and clinically depressed. Following her doctor’s advice, she attends a support group and meets fellow cancer patient Augustus Waters. The teens fall in love. She expresses great interest in An Imperial Affliction, a novel about cancer, and develops a curiosity about characters in the book following its ambiguous ending. Hazel and Augustus travel Amsterdam, the present home of Imperial’s author Peter Van Houten. I can’t give away subsequent events, but readers will become engrossed in what the teens discover along the way. The Fault in Our Stars is not light reading, and the impact of this book’s contents will make us remember no matter how bad some things seem in our lives, there is always someone who has it far worse. It’s beautifully written and stems many emotions, only two characteristics that make a good novel – at least in my opinion. It is a recommended read for anyone who has ever dealt with cancer or close to someone with the disease. On a side note, The Fault in Our Stars will be released as a major motion picture on June 6, 2014. If you’ve written nonfiction books or considering writing one in the genre, wish to establish your authority in your field, are interested in learning new book marketing tactics, and have a desire to make an impact on the world, then a membership with the Nonfiction Authors Association may be for you. Visit the web site to learn more. Andrea McKenzie Raine’s first novel, Turnstiles was published in December by Inkwater Press and on sale at Amazon for $4.99. Paul Collins interviewed poet and author K.D. Rose for Angie’s Diary March 23. Come meet Rebekkah Ford, author of Paranormal/Fantasy series Beyond the Eyes in this Library of Erana feature. Flynn is kidnaped by Israelis in India; enjoy this chapter excerpt from Phil Rowan’s book Under Cover. The Queen of Swords: A Paranormal Tale of Undying Love is the latest release by Nina Mason and has already garnered several five-star reviews. Author Event of the Week: The annual RT Booklovers Convention takes place May 14-18, 2014 in New Orleans, LA. Many workshops and events are scheduled and time is running out to register for your spot. Go here for additional details on this year’s event and other updates. Thanks to What’s Has Arlena Read and Reviewed? book blogger Arlena Dean for her March 22 review of Life Subject To Change. You can read the full review at this link. When my latest book, Billy Kidman: The Shooting Star made Amazon’s best seller list after its March 1 release, Dan Ryckert’s Curtain Call: How An Unscripted Goodbye Changed The Course Of Pro Wrestling (Up To Something Publishing, 2014) also caught my attention. Curtain Call details the story of Kevin Nash and Scott Hall leaving WWF for rival WCW and how they – along with friends Shawn Michaels and Triple H – broke character before a WWF sold-out crowd at Madison Square Garden in 1996. 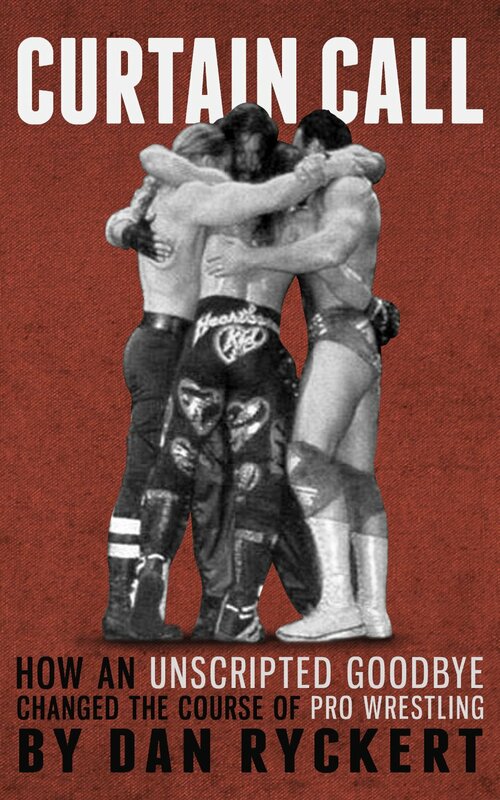 Using interviews from all involved, the book unfolds events leading up to the notorious Curtain Call, the actual moment, and the aftermath that changed the wrestling industry. Thoroughly researched, quotes from interviews, behind the scenes details, and well-represented facts combined with strong writing make Curtain Call a must-read for those discovering sports entertainment and old school wrestling fans alike. While some of the book’s contents are common knowledge, I discovered other information I never knew prior to reading Rykert’s account. Curtain Call is a relatively short book (around 50 pages), but it not only can be read on Kindle, but also Kindle app on iOS, Android, or on your PC for $2.99. I managed to finish this book in less than a couple hours, so it is indeed a fascinating read. Authors On Show’s main web site has garnered a little over 300 views since its March 8 re-launch. Major publishers and literary agents have visited in the past, and chances are good yet more are having a look at our featured authors. Congrats to Amy Friedman on winning an International Association of Culinary Professionals (IACP) Award in Literary Food Writing for her book One Souffle At a Time: A Memoir of Food and France. You can see all other IACP winners at this link. Wildflower by Dewey Dirks is now available on Kindle at Amazon. Wildflower is a collection twenty love poems written about Dewey and his wife, following their life together over twenty-one years time up until shortly after her death from cancer in 2013. It is a heartfelt chronicle of a couple living, loving, and raising a family together. The poetry in Wildflower is written straight from the soul. It is full of moving, intimate, song-like verses and is certain to bring the reader to tears of both joy and sorrow. The cover for Holly Kelly’s newest book has been revealed, designed by Marya Heiman. Visit Holly’s blog for a peek! In Hideous Faces, Beautiful Skulls, a collection of thirty stories of horror and the bizarre by Mark McLaughlin, you’ll enter a boundless realm of dark magic and twisted love, encountering monsters aplenty: ghouls, evil cats, alien lovers, aquatic humanoids, a vicious Egyptian monstrosity, eye parasites, magic zombies, Internet witches and others that defy description. Hideous Faces, Beautiful Skulls is available as in trade paperback or Kindle download on Amazon. Angie’s Diary has announced its 2014 Seasons Short Story Contests where entrants can receive additional exposure and win cash prizes while honing their writing skills. There will be a prize pool for each season, with the spring contest running now through April. Click here for additional details on how to enter. Fabulosity Reads featured a post on their blog March 14 discussing Amazon’s new book review policy concerning ARCs and paid reviews. Lindy Dale received some press coverage for her book, Storm in a B Cup this past week. Click here to view a copy of the article. Authors Publish is having a writing contest. The goal is to write a one sentence novel pitch. To read all the rules and to enter, click here. Author Event Of The Week: The K.A. Robinson Author Dinner takes place Saturday, May 17, 2014 at Black Bear Burritos in Morgantown, WV. All in attendance will have a chance to win one of three prizes. More on the dinner can be found at this link. Those interested in attending may RSVP Tammy McGowan at TammyVoiced711@gmail.com. Palm Tree Books passed along news March 20 that the Billy Kidman: The Shooting Star book giveaway happening now through April 6 trended on Twitter! Go here to view the screen cap! Billy Kidman: The Shooting Star became the #1 Hot New Release in Wrestling on Amazon March 18 and again March 20. Click here to view the screen capture of this moment!